Entry filed under: Tall building policy, Wandsworth Town. 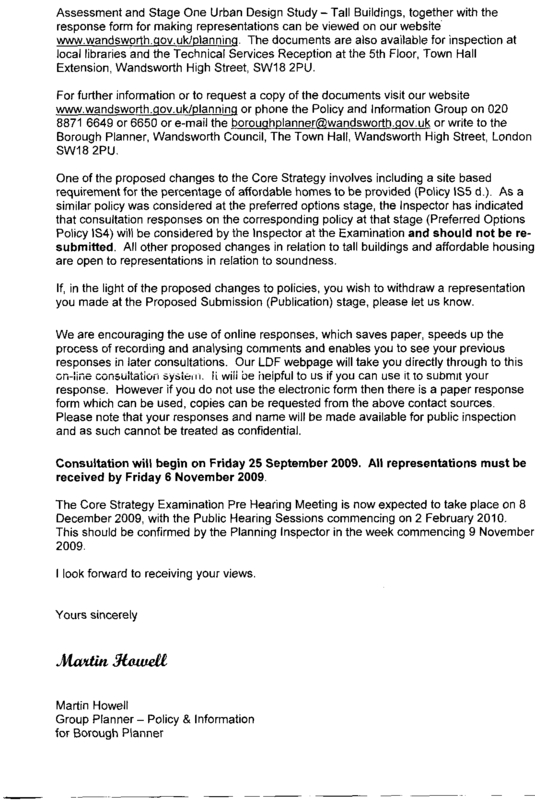 For ten years I was the elected Chairman of the Wandsworth Challenge Partnership, the Single Regeneration Partnership for Wandsworth Town Centre, which included the mouth of the Wandle. It may be about 15 (fifteen!) 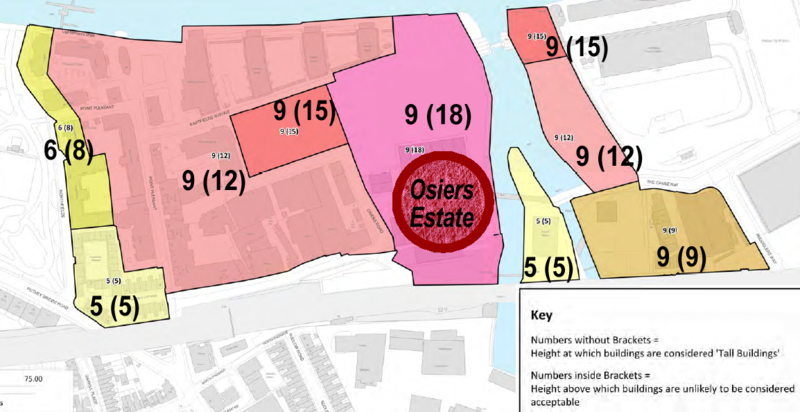 years ago that after a great deal of debate, the Partnership commissioned at great public expense of consultants fees and consultation by local interested groups and individuals an Urban Design Framework which gave a sort of template for the area with which there was general accord. All that seems to have been forgotten or dumped and what seems to be happening now is a free for all without a comprehensive concept of the sort of place people want. 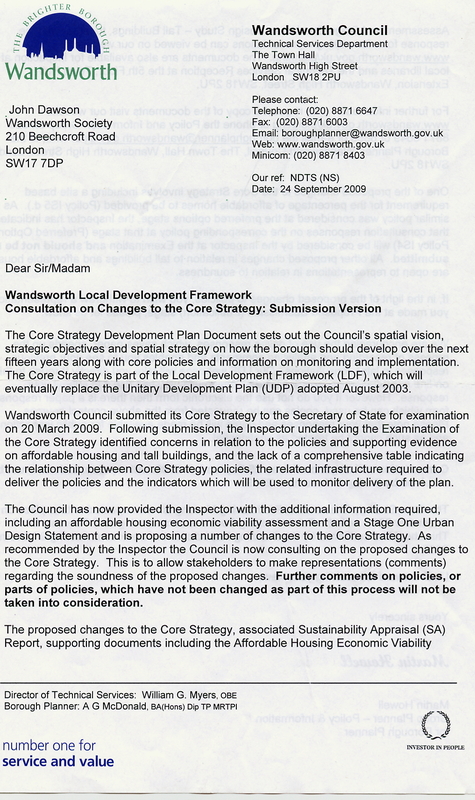 The “Vision” was a Wandsworth Delta (sic) being a place where the unique feature of the Wandle and the development opportunities could be fused into an exemplar project. The word “exemplar” has now been hijacked to cover a few highways improvements in Clapham Junction and the Delta project looks like a fond memory. That appears to be resulting in an anarchic scramble for mass and poor design at the expense of a decent environment. All the aspirations seem to have been binned. What’s more if many of the schemes get planning consent it’s likely/probable that the procurement process (i.e. getting it built) will result in loss of quality and detail. You only need to look around recently built schemes to appreciate that (locally and nationally). I don’t have an aversion to tall buildings used sparingly and in the right place, but the overall grain, density and quality need to come together. In one hundred years will people say “now that really was something good!” about what is apparently happening at the Delta? I think not if current directions are maintained. …………………….and the architects are the indians.